It never diverges from the path carved by its predecessors and the numerous loot-driven hack-and-slash dungeon crawlers they inspired. 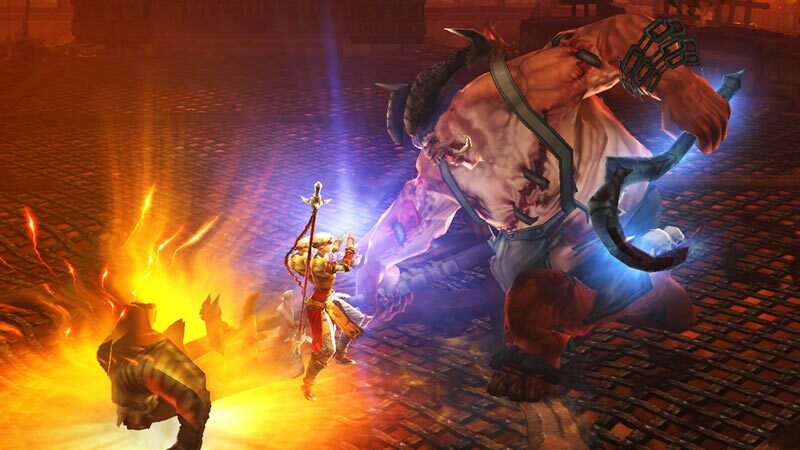 But Diablo III also proves that when done well, the classic formula can still be absorbing. 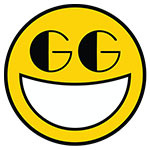 The powerful abilities of the diverse character classes are fun to use, the world is varied and enticing, and the constant promise of more riches and better gear makes conquering that next group of foes an alluring prospect indeed. Don't take up arms against Diablo because you care about saving the world. Do it for fortune and glory. At their most basic level, the console versions of Diablo 3 are the same as the PC version of the game. They have the same primary structure, the same character classes, the same skills, the same randomly generated loot and monster system. 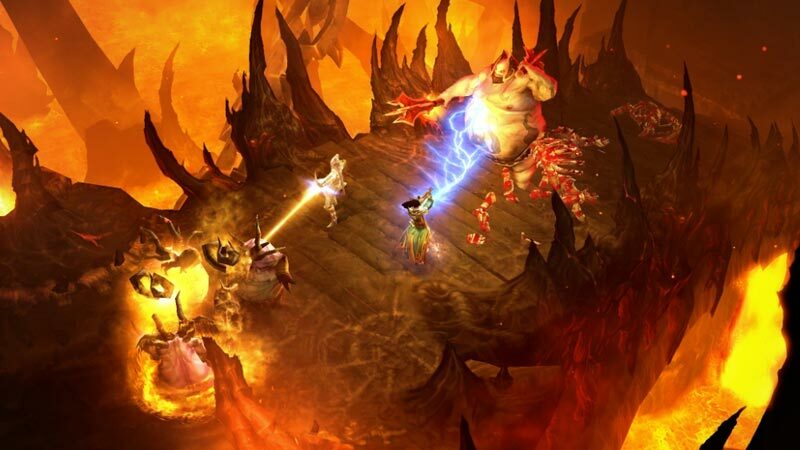 If you’ve played through Diablo 3 on the PC, you won’t be surprised — at first. But after an hour or so, the console version of the game goes out of its way to surprise you. Diablo III is just Diablo III. The game feels more like a top-down shooter with the controller, but it's still heavily action oriented gameplay, with leveling and loot systems that make you hate to put it down. 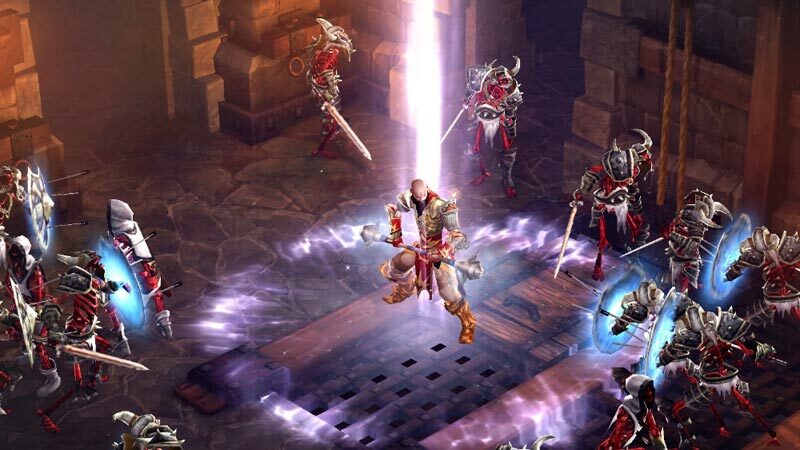 If you've played the PC version, Diablo III on consoles isn't going to offer you anything new, except the ability to sit on your couch while you play. If you've never played Diablo III on PC and like ARPGs of any sort, this will be a great addition to your collection. 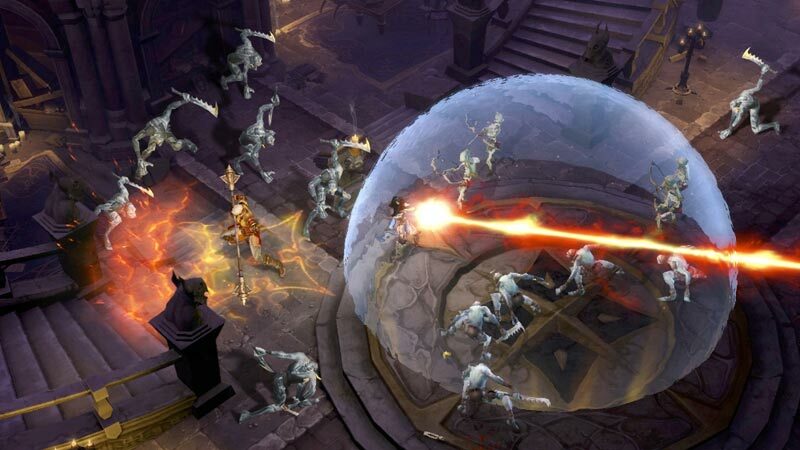 On its merits as an action game alone, Diablo III shines. Its weighty, brutal combat is instantly entertaining, and the steady drip of new and interesting ways to slaughter monsters by the screenfull makes leveling each of the five characters a joy. But ultimately, it’s Blizzard’s revitalization of the item hunt with more generous drop rates and transformative pieces of gear that kept me coming back for more. 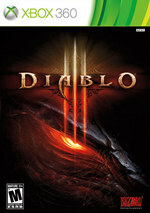 Diablo 3 was released on the PC back in 2012 and quickly became one of the fastest selling PC games of all time. The title hit 3.5 million sales on day one and surpassed 6 million in its first week. By the end of 2012, Diablo 3 sold over 12 million units and has currently been played by over 14 million unique users. Diablo III on console is a thoroughly enjoyable experience. The graphics do not live up to the PC version (which is surprising, considering how simple they really are), but otherwise this is an excellent conversion that easily and elegantly dodges some of its big brother's problems (the much-critised auction is gone, as mentioned earlier) and even has a few new tricks in the form of more direct controls and couch co-op. If you haven't already played it on PC, you should definitely give Diablo III a look on console. Diablo 3 on console is one of the best co-op games money can buy. It swings smoothly from easygoing to intense, with perfectly paced pockets of downtime, and is capable of swallowing entire evenings in a single, voracious gulp. It's a Lego game for loot-hungry grown-ups and it gets better with every player you add. If you have co-op partners who would also enjoy it, this version is an essential purchase. If you don't, it's still easier to recommend than the PC game; almost as slick, even more flexible and usable and without that troublesome always online requirement. Reforged specifically for consoles, Diablo III maintains many of the strengths of the PC version while improving on some of its weaknesses. Although the Xbox 360 can't compete graphically, gameplay feels very much improved by the console conversion. Gone is the sometimes hypnotic and tiresome clicking, replaced by a much more dynamic gaming experience. 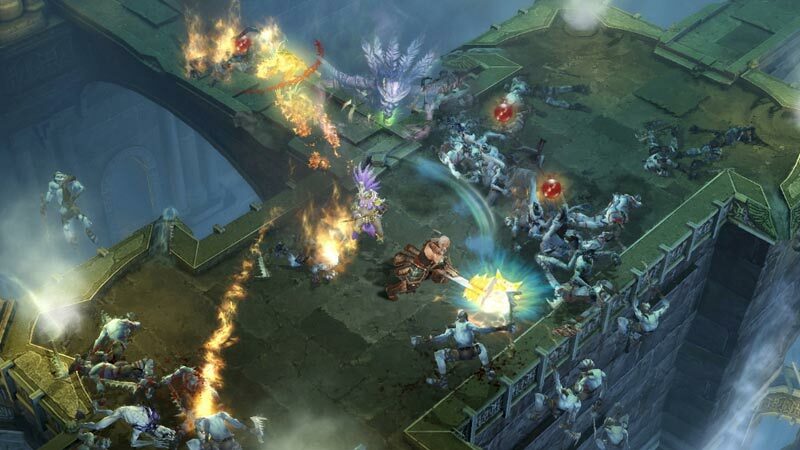 Diablo III adds just enough to the console experience to separate it from its older PC sibling without stripping away the core action RPG base. It’s a base that has caused a lot of controversy since release, and ironically it feels more at home here than anywhere else anyway, but it’s great to see Blizzard back behind console development. Up-to four players on a single system making the experience easier to share. Precise, intuitive controls both in-game and in menus. Better loot balancing.This is no slap-dash conversion. The transition to consoles has been managed with extreme care and respect – so much so, that as we speak, playing with friends on the sofa is the best way to experience Diablo III. Diablo 3 bleibt Diablo 3, oder? Blizzard hat eine lupenreine Umsetzung des modernen Hack&Slay;-Klassikers abgeliefert, bei der vor allem auf die konsolengerechte Steuerung Wert gelegt wurde. Die Benutzerführung ist größtenteils vorbildlich, einzig der Austausch von Gegenständen innerhalb der Gruppe ist wie bei vielen anderen Spielen in diesem Bereich unnötig kompliziert. Schade ist allerdings, dass man versäumt hat, das Kampfsystem vor allem bei den Standardangriffen dynamischer zu gestalten. So reicht es, den Knopf gedrückt zu halten und gelegentlich einen der Angriffe mit Abkühltimer abzufeuern. Si on attendait Blizzard au tournant, force est de constater que cette adaptation consoles de son hack'n slash est de fort belle facture. En ayant brillamment repensé le gameplay pour le support tout en ayant soigné la forme, Diablo III rayonne sur PS3 et Xbox 360. Mieux, cette version inclut quelques ajouts très intéressants sans parler des ajustements qui rendent l'expérience aussi, voire plus, enrichissante que sur PC. Par ailleurs, la possibilité de jouer à quatre sur un même écran est un vrai plus. Il n'empêche que ce portage arrive un an et demi trop tard pour réellement soulever l'enthousiasme, et qu'avec un gameplay pensé dès le départ pour le duo clavier/souris, le jeu a tout de même un peu plus sa place sur PC. Mais si vous ne jurez que par la manette, n'hésitez surtout pas à foncer la tête la première dans la gueule du diable ! Het is duidelijk dat Blizzard er goed aan heeft gedaan om Diablo III naar de consoles te porten. Met drie vrienden op de bank op een verloren zaterdagavond kerkers afstruinen opzoek naar loot was nog nooit zo verslavend. Wij durven dan ook te zeggen dat Diablo III dé co-op game is op de consoles. In je eentje is de game echter ook erg vermakelijk, dus laat je zeker niet tegenhouden als je ook maar een beetje interesse hebt. Diablo III is gewoon nog steeds de bom!